We have a lot to introduce in this introductory lesson! 1) Structure and Resources. The selective, thematic approach of the Gospel Doctrine student and teacher’s manuals necessitates two Sunday School podcasts this year. Engaging Gospel Doctrine: EGD will continue to follow the schedule and reading of the standard curriculum (working to get a week or two ahead), modeling a “best version” of Sunday School and providing supplementary resources. The teacher’s manual states “because this year’s lessons are thematic, some sections of the Doctrine and Covenants are not included in the reading assignments. 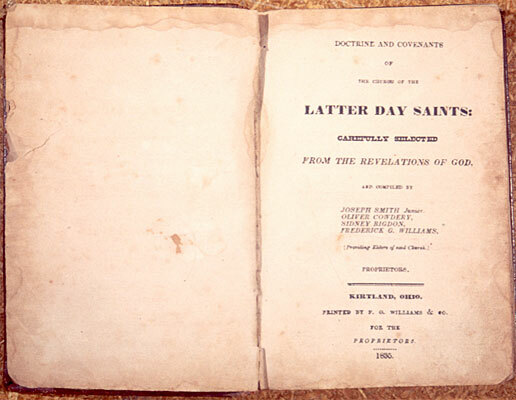 Nevertheless, class members should plan to read the entire Doctrine and Covenants during the year”, but doesn’t provide any suggestions as to how to accomplish this reading. This podcast fills this void. Think of it like a “special features” project. Most importantly, it models a contextually sensitive, thorough approach to scripture. This introductory podcast will explain and outline all three resources and approaches–the manuals, EGD, and T&C. For both Engaging Gospel Doctrine and Text and Context, Go to the Resource Page for a list of recommended books, articles, and websites. These will be updated as new content becomes available. 2) Doctrine and Covenants and Church History. This episode will give a brief overview of the pre-history of the D&C, the contents of the current version, and the Church history we will be covering this year. 3) Terms, Methods, and Approaches. Understanding the framework and approaches to studying scripture and history are at least as important as the facts and details covered. This episode will conclude with a discussion of terms such as Past, History/Historical, Accurate, True, Myth, Theology, Revelation, and Critical. We will also review approaches to the text including literary, theological, historical, ethical, and critical. Post your comments and questions here, in the facebook group, or email them to me at MormonSundaySchool at gmail.